As the Kickstarter project is in full swing, I thought it was an ideal opportunity to ask Steve a few questions about his life, work and of course the Kickstarter project. This is what Steve Domahidy had to say to me. Steve Domahidy astride one of his mountain bikes. 1) Tell us a little about Steve? What is your history? I’m an adult kid, I think, and still love to play! Bikes are my adventure and my way of not only exploring this world, but feeling alive in this world. When I was a kid, I used to go to the local bike store and put bikes together in my head. I would assemble every single part with the one I wanted and dream of the complete bike I had just virtually created. I was always fascinated with bikes. As I became a teenager I started a local neighborhood business doing tune ups on bikes. I would dis-assemble the whole thing and put it back together clean and lubed (mostly correctly!). I have an amazing career in bikes, designing them, building brands around them, and generally playing with them. I am an entrepreneur and my brain is always in ‘creation’ mode, and it’s not always linear creativity. This book is a result of my creativity coming out in different and unique ways. 2) What got you into bicycles? Growing up in the seventies is a bit different than now. In the summer, I’d take off in the morning and the only instruction from mom was ‘be home by supper time’. The bike allowed me to explore and experience life much further away from home. I would go down to our mini neighborhood built jump zone and remember the wind in my hair as I dropped into the steep lines that made up this impromptu bmx track. It was exhilarating! 3) How has your business developed since you started? Have you embraced any new design technologies in your own design aspects that improved cycling, and your bikes? There have been a lot of advancements in the bicycling world and I’ve tried throughout my career to be ahead of them or even been the instigator of them. 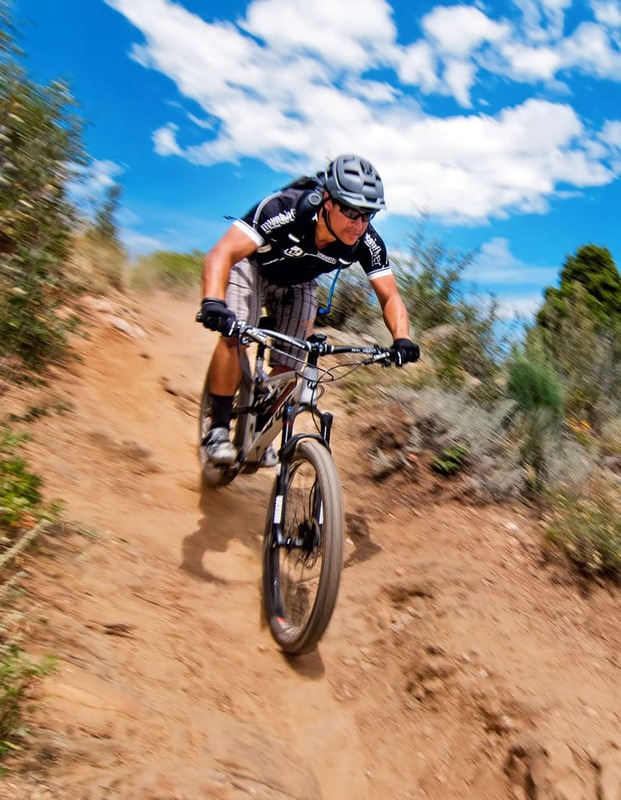 At Niner, we were the first company to make ONLY 29” wheel mountain bikes (the main stream wheel size at the time was 26”) and we were a key factor in changing the industry over to a totally new wheel size (26” wheels are now obsolete). With Factor, the advancement there was in the aero road bike market, and we were really the pioneers of total bike integration, and with Faraday, we really strove to make an electric assist commuter that looked and felt like a regular bike. It’s been truly amazing to have had the opportunity to re-cast the mold of the bicycle in many different ways and across many different platforms. 4) Do you have any shareable future plans with your bicycle work/designs? I love working on the cutting edge of technology and have been blessed in my career to have been able to do that. It’s been an amazing run of working on some of the most advanced bikes in the world, launching brands, and inspiring riding of all kinds. I’m not done, and still working on some stuff that will turn heads, and change concepts! 5) What was Steve Domahidy’s favourite bike and do you have any memories to share of it? When I was a kid, I finally put together the bike of my dreams, a Haro Sport freestyle bike. I really wanted to learn how to do freestyle, and built a halfpipe in my backyard that was 8’ tall and 20’ long. I never did have the opportunity to drop in from the top, as the homeowners association made me take it down because it was above the fence line! The book cover for the upcoming publication. 6) What has become the connection between bicycles and books? America is a funny place, but one built around cars and roads. We don’t have the infrastructure or culture that brings cycling to the forefront of our thoughts. It’s a part of us, for sure, but distant and not a priority. This book for me is a way to start shifting that opportunity, of making cycling something children start seeing and thinking about from the earliest of ages. If we normalize bikes in our culture, if we show their presence early with the children around us, it normalizes them, makes them part of our culture. It’s almost a subliminal teaching tool to have kids seeing bikes and dreaming about bikes at the earliest ages possible. They will grow up thinking about bikes (and the animals who ride them!!!). The affects of this kind of early childhood learning are far reaching and can range from bicycle acceptance (being totally okay with bikes being on the road and having to drive around them) to outright increased infrastructure and support for cycling programs and efforts in communities to make cycling part of the everyday experience in America and around the world. 7) Tell us about the KickStarter project, and it’s motivation? I want kids to start dreaming of bikes now, to start seeing them as the amazing vehicles that they are and realizing the world is a better place on bike. The more bikes we have, the less cars we have. When we start putting our efforts into cycling and building a culture around bikes, our quality of life increases exponentially. Less cars, less traffic, less pollution, better health, closer communities. These are all amazing side affects of the bicycle being a major part of our culture. This is what I want ‘A Bike For You’ to help create! 8) How important is design aspect of the book, to get the message across? The design of the book and the illustrations are the most important aspect of this book. They have to be amazing! They have to captivate the reader and the listener (think mom and dad reading to child). The design, lay-out and illustrations are what will create the dream and passion in children’s minds!!!! 9) How do you see your future? How do you see the future of cycling? 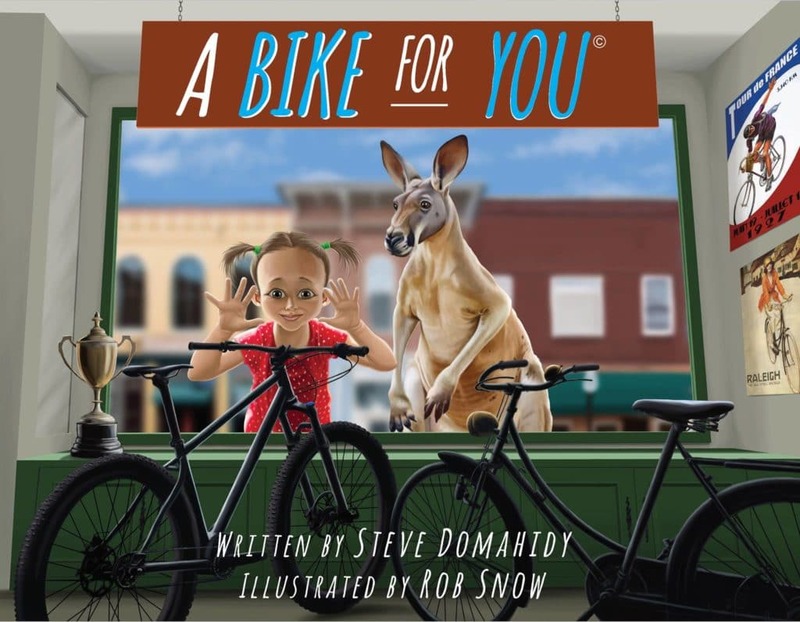 I would love for this book to catch on, for us to sell millions of copies, and for their to be a sequel book with more bikes and more animals!!! If you are interested in reading more about the project and my involvement, I recently wrote an article about it here!